Thanks to technological advances in the way we communicate (i.e., smartphones, unlimited data plans and Wi-Fi-ready vehicles), professionals in just about any industry – from real estate to home remodeling – are able to spend more time in the field and less time at the office, and vehicle manufacturers are taking notice. It’s to be expected, for example, that today’s pickup trucks would generally outperform their predecessors in nearly all performance categories – torque, towing capacity, efficiency and so on. What might surprise buyers, especially those just now re-entering the vehicle market after a few years away, is just how much modern pickup trucks are keeping pace with even the most well-appointed sedans, SUVs and crossovers in terms of luxury, comfort and available technology. To be sure, the days of the utilitarian, hard-riding pickup truck are at an end. 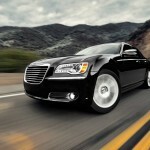 In its place is a vehicle that is still very much a workhorse, just one with more style and finesse. 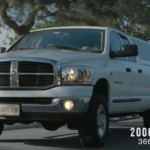 What follows is a look at what to expect when purchasing a top-of-the-line truck like the 2018 Ram Limited Tungsten Edition or a competitor’s equivalent. Nowhere is it written that a purpose-built for-work pickup truck has to be a chore to drive. 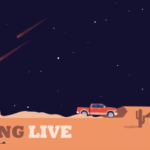 In fact, truck manufacturers are developing new technology all the time to give pickup trucks a smoother, more car-like ride without diminishing their performance capabilities (the reason you buy them in the first place). The five-link coil spring rear suspension that comes standard on Ram 1500 pickup trucks helps reduce overall friction in the system without sacrificing towing capability, for instance. The result is better turning ability and an improved ride to and from the jobsite, with or without a sizeable load in tow. 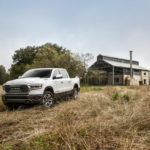 Although this particular suspension utilizes technology that is exclusive to Ram Trucks, other manufacturers have their own methods and strategies for improving ride and handling. The overall result is a competitive truck market in which the consumer benefits and rough rides become a thing of the past. It’s easy to work hard and look good doing it thanks to luxury options available across today’s pickup truck market. 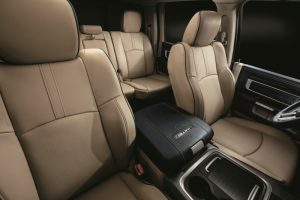 Offered by most manufacturers in select trim levels are things like embroidered leather-trimmed seats, polished aluminum wheels and, in the case of the Ram Trucks specifically, European-sourced wood accents. Refinements such as these not only add elegance and style, but also serve to balance the brute power of the pickup truck, lending an air of success and sophistication to the professional who drives one. But well-appointed interiors are about more than impressing the client or customer sitting shotgun. Because a hard day’s work is full of just that – hard work – the ride home from the job site should be anything but. Many pickup trucks today feature available heated and ventilated bucket seats designed for peak driver and passenger comfort. It’s worth noting that the comfort comes at no cost to stylishness, thanks in large part to the premium leather trim that is widely available. As people grow increasingly more dependent on smartphones, for professional applications and otherwise, vehicle manufacturers are including features in their sedans, minivans, crossovers and, yes, pickup trucks too that help lessen the risk of distraction. Widely available already and becoming more so by the year, hands-free Bluetooth® technology, when present, allows drivers to sync their phones with vehicles in order to place and answer calls, compose and read texts1 and select music and other entertainment without needing to take device in hand or, more importantly, eyes off the road. Hands-free safety and security features like these join back-up cameras2, collision-warning sensors3 and voice-activated navigation to create a truly modern driving experience, one that helps elevate the pickup truck from the no-frills get-it-done machine of yesteryear to one of the most dynamic vehicles on the road today. In short, the modern pickup truck offers all the frills you want while still coming through with the performance capabilities you need. 1Not compatible with all phones. 3These systems are an alert system for the front of the vehicle. It is not a substitute for active driver involvement. The driver must remain aware of traffic conditions and be prepared to use brakes to avoid collisions.